Recently, Jessica wrote a post about the countries she would most like to visit. If you read that post you know that New Zealand is on my list as well. My list would also include some combination of Norway, Iceland, Nepal, Patagonia, South Africa, and Scotland. Jessica gets excited thinking about cities and countries to visit, but I get more excited researching potential backpacking trips. So, instead of listing all of the countries I want to visit, I thought I would share the US backpacking trips I would most like to do. My favorite length for a backpacking trip is 2 to 3 nights, so at 3 weeks this hike must obviously be special. It certainly is. The John Muir Trail begins in Yosemite National Park and climbs a series of High Sierra passes as it makes its way south to the summit of Mt. Whitney–the highest peak, 14,505 feet, in the contiguous United States. Along the way, the trail passes through Yosemite NP, the Ansel Adams Wilderness, the John Muir Wilderness, Kings Canyon NP, and Sequoia NP. Much of the hike is spent above the tree line in the Sierra. Backpackers carry all their own supplies and mail resupply packages that they pick up about every 5 days. Bear Scare: Black Bears are common in Yosemite Valley but otherwise not that scary. Resources: Hike JMT, Pacific Crest Trail Assoc. Of the US National Parks I have visited, Zion is probably my favorite. The color scheme of the colorado plateau is perfect, and Zion has some of the most incredible topography anywhere. 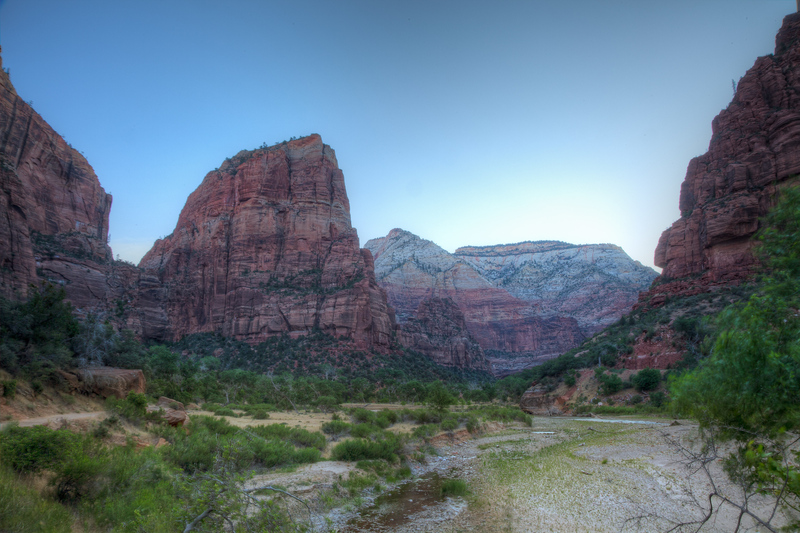 The Trans-Zion trek starts in the Northwest corner of the park and traverses all the way to the East Entrance. Along the trail you see some of Zion’s most famous features: Kolob Arch, the West Rim, Angels Landing, Zion Canyon, the East Rim, and Observation Point. Bear Scare: No bears, but there are mountain lions. As I have gotten more interested in hiking and backpacking, I have spent more and more time reading and researching possible destinations for hikes. 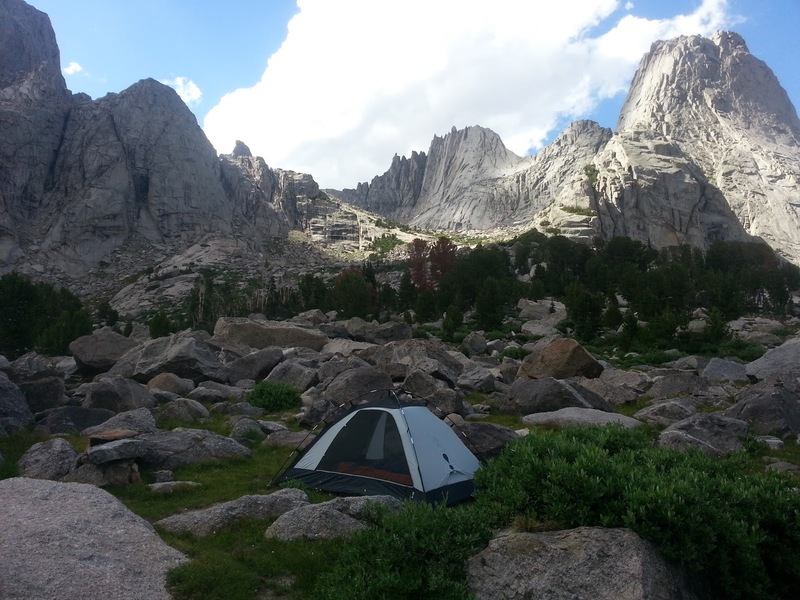 The place that keeps coming up in all my research is the Wind River Range in western Wyoming. Of all the accolades attached to The Winds, Cirque of the Towers is constantly exhibited as the most idyllic location in the range. One guide I found suggested that backpackers should plan to travel at least 50 miles to get anywhere worthwhile in the range. This trek, however, is only 18 miles and reaches one of the most majestic locations in the range. When I do eventually visit The Winds I hope to spend more than 1 or 2 nights in the backcountry–maybe on this trip. But, I can’t imagine anyone being disappointed with this short trip. Bear Scare: Black and grizzly bears live here, but grizzlies are rare. Okay guys, I cheated on this one. I am including two separate hikes here: The Presidential Traverse and an overnight trip on The Franconia Ridge–both located in the White Mountains of New Hampshire. I am hoping to bag one of these hikes this summer. Let’s start with the traverse of the Presidential Range. New England hikes have a reputation for being less challenging than their western siblings. At 23 miles long with more than 9000 feet of elevation gain, the Presidential Traverse is the exception. The north-to-south hike bags 10 of the White Mountain 4000-footers including the tallest: 6,288′ Mt. Washington. A majority of the hike is above the tree line with extremely variably weather. Many people do this hike in one REALLY long day, but I like the idea of splitting it into two days with an overnight stay at the AMC’s Lake of the Clouds Hut. The second White Mountain Hike on my list is the Franconia Ridge. At 27 miles, this hike is a bit longer than the Presidential Traverse but notable easier with a little over half of the elevation gain. However, like the Presidential Traverse, much of the hike is spent above the tree line. The Franconia Ridge is one of the most popular day hikes in New Hampshire, but hikers often miss some of the summits. By spending a night in the backcountry one can spend more time on the amazing Franconia Ridge. Bear Scare: Sleeping in the AMC hut means not having to worry about bears! Bear Scare: Minor black bear risk, just protect your food. This list just would not feel complete if it left off my first love: The Tetons. The Tetons are incredible. A massive fault built up this shear block of granite peaks that loom over the Jackson Hole valley. Without foothills these peaks tower higher than seems possible. I first visited The Tetons when I was 5, and they keep calling me back. Until 2012, I had never slept in the Teton backcountry, but that year Jessica and I completed the popular Paintbrush Divide overnight hike. The Teton Crest Trail connects multiple trails in the park, traversing from Jackson Hole Mountain Resort to Paintbrush Canyon–where my backpacking career began! Along the way the trail passes incredible views and campsites high into the alpine-zone. Bear Scare: This is prime grizzly bear habitat. Carry bear spray and be bear aware. By no means do these hikes represent the only overnight hikes on my bucket list. I did not even get to mention hikes in Grand Canyon NP, Canyonlands NP, Mt. Rainier NP, Olympic NP, Capital Reef NP, Glacier NP, Great Sand Dunes NP, as well as many other wilderness areas. I have started making a list of all of the hikes I would like to do; and, when I finally get to each of them, you can read about it here on Both Sides of the Tracks!